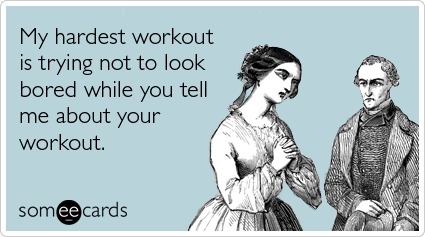 I’ve seen other bloggers recap their weekly workouts, and I think it’s a great idea because (1) I’m a creeper and like seeing other people’s workouts, and (2) It keeps the blogger accountable since their exercise becomes public knowledge (eek!). So I’ve decided I’m going to try this out for a few weeks and see if I like it. I think it will be a good way to keep me motivated throughout the holiday season, and hopefully y’all are as creeper-ly as I am and like reading it. I will be taking off almost two weeks of work toward the end of the month (adult Christmas break oh yeah), and although I always think time off will mean more working out, it often has the opposite effect. Does this happen to anyone besides me? It’s like I need the pressure of “If I don’t work out at this particular time, I won’t be able to work out today at all” to motivate me to get to the gym. When my day is wide open, I tend to put off my workouts until later in the day, and then something better comes along and I scrap my workout all together. I feel like I can’t be the only one who experiences this – any fellow procrastinators out there? In addition to recapping my week in fitness, at least for this week, I’m going to post 5 goals for the week ahead and check back in next Monday to see how I did. I would do this weekly (and maybe I still will), but I feel like the goals might get repetitive. 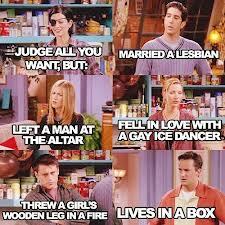 And unless we’re talking about watching reruns of F.R.I.E.N.D.S repetition equals boring. But we shall see. Not bad in terms of cardio, but I really need to step it up in the strength training department! Enter: Goal numero uno below. In other breaking news, I am obsessed with Kelly Clarkson and Ke$ha's new jams. Should keep me motivated to reach my five goals this week methinks. These ladies never let me down. What are your health and fitness goals for the week ahead? Does being held accountable help you reach your goals or just stress you out? I’m not sure what it does for me, but I guess we’ll find out!